In Her Footsteps takes you back in time, through 150 years of women-led activism in East London. 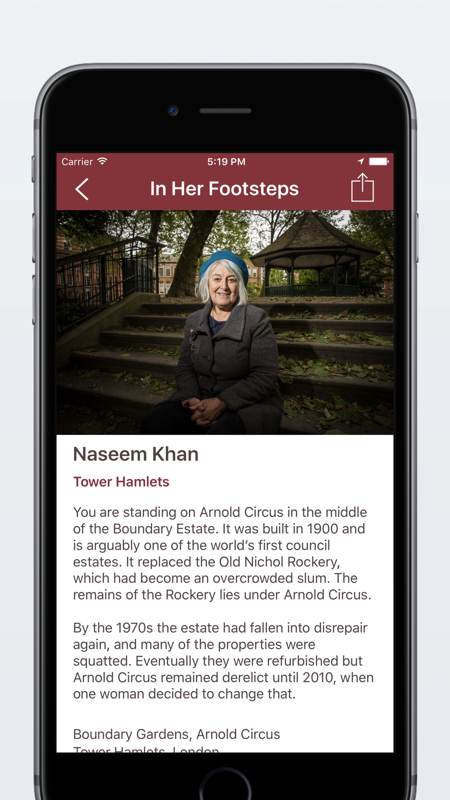 From the Match Girls strike in 1888, to Sisters Uncut in 2016, this app brings to forefront generations of women’s history, which has been overshadowed or forgotten. 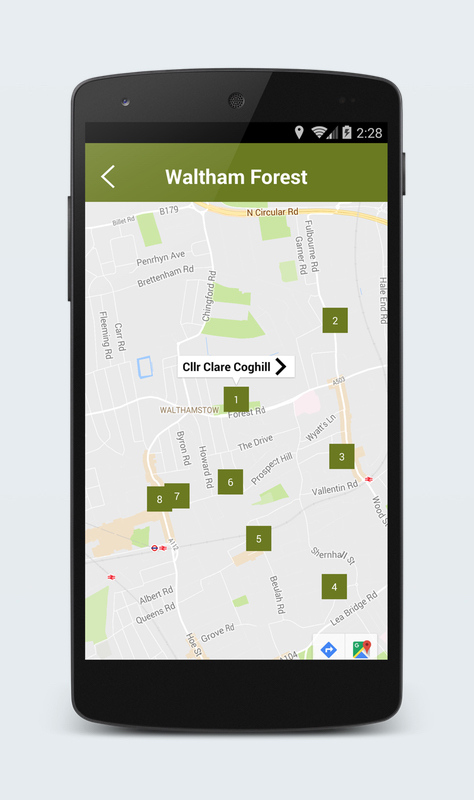 The app features three tours across East London: Tower Hamlets, Hackney and Waltham Forest. If you don’t live nearby, you can still enjoy the tour from the comfort of your own home. For future updates on the project sign up* for email updates via our mailing list. *By signing up you are consenting to being added to the In Her Footsteps mailing list, which is owned by Share UK. You will receive updates about the work we are doing around the history of women led activism, including events and opportunities to get involved in our projects. Your details will be stored securely via Mailchimp and we never pass on personal data to third parties.